We are so excited to announce the newest members of our farm, The Four Little Piglets; their mama is a Large Black and their daddy is an 800 pound Tamworth. We found them @ Monarch Family Farm in Pilot Hill. 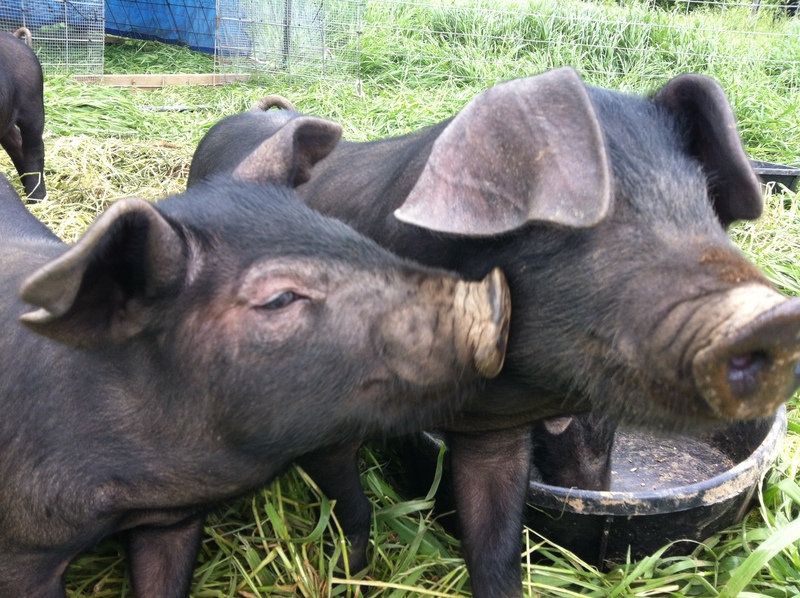 Glen and Kelley Turney are doing a great job raising and loving pigs. THey know so much and are helping us keep it all going. Greg, our newest crew member has worked with pigs before and will be the key ‘pig daddy’, ha, so fun. We will be breeding and finding homes for the little snorters soon enough. Stay posted as to how to start your own pig family. If you are interested in buying pork this fall, please call the office or shoot us an email. Thanks. ← Our Heritage Breeding Efforts Are Growing!